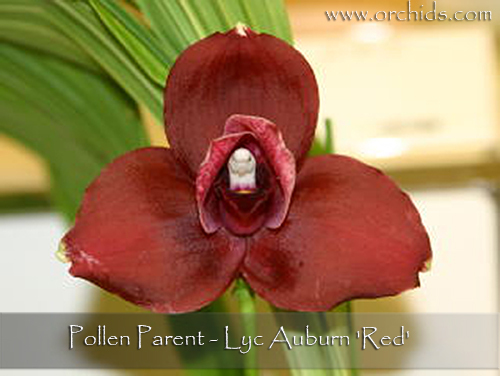 An exciting new Lycaste hybrid, mating a floriferous pink to a dark red ! Lyc. Shonan Harmony was used to increase the flower count of Auburn in addition to producing a taller stronger spike for its large flowers. 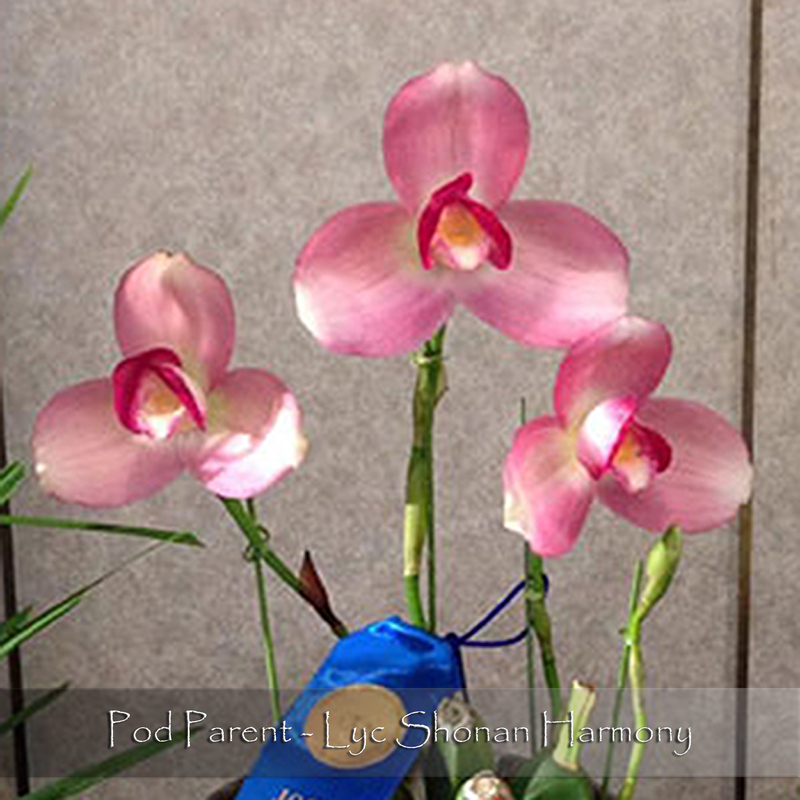 As a result, we expect to see a wide range of color in the progeny, from rich pink to red to bi-colors. Its newly mature pseudobulbs will drop their leaves at the end of their growth cycle in late fall or winter, at which point a drier winter rest combined with cooler temperatures will initiate spiking. Each fully mature growth can produce several single-flowered inflorescences. Limited and Highly Recommended ! Strong 2000+ F.C.,Medium 1000+ F.C.